What do you mean you are out of Slankets? Noooooooooo! Figures for online shopping show a 25 per cent increase month on month for those whopping online, up 11 per cent on the same period last year. 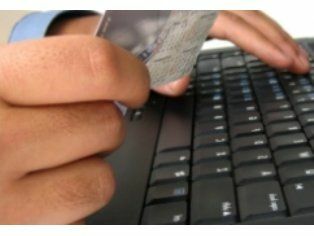 While we are said to still be in a recession, shopping online seems to have kept itself buoyant. The 25 per cent increase was noted by the IMRG Capgemini e-Retail Sales Index, which found that the UK spent £5.3 billion online in November. "Given retailers' perceptions that consumers are holding out for November bargains, this would suggest a strong December for online. "The challenge will be to ensure that value is at the forefront of the Christmas message, with carefully designed promotions becoming the norm across the sector. "Inspiring confidence in late delivery windows could also become a differentiator for those that have got it right." With the weather as inclement as it is, and the fact that shopping in the real world at Christmas is as joyful as stubbing your toe a thousand times in a row, it's no wonder that shoppers are putting their faith in all things online.